The last set of the Mixed teams was action packed. With three deals remaining Manfield led 109-81. Wilson must have suspected they were behind and both pairs were pushing hard. On Board 26 both teams reached 6 with KQ3 KJ10964 J64 J opposite A87 A A83 AK10762, but West held 106 Q53 10972 Q853 and the essential diamond lead was found at both tables – one down and no swing. On 27 North-South’s combined holding was 965 10732 KJ862 2 facing AQ1083 A9 A AK864. 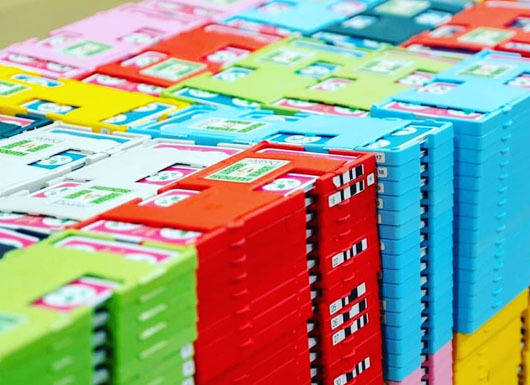 Chip Martel made an interesting observation on BBO. After 2 *-2 *-2 North jumped to 4 ,a splinter in support of spades. 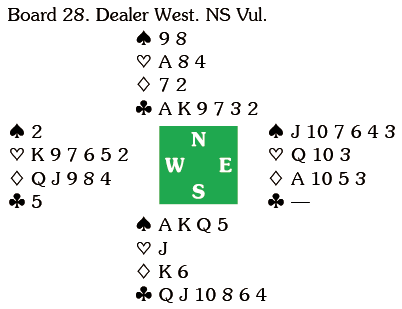 Chip pointed out that it is possible to use 3NT to show an unspecified splinter with three-card support ,so that a jump to the four-level always has four card support. 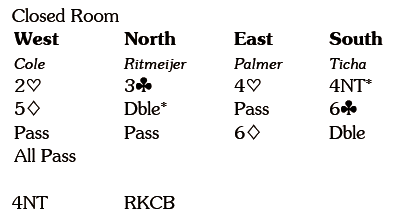 On a good day clubs will behave and East will hold a doubleton spade king, but this time West held K42 KQ4 Q7 QJ1093 and the 6 reached in the Closed Room was hopeless, so Manfield collected 11 IMPs by stopping in game. When the opponents overcall your Roman Keycard ask, you can use double to show 0/3/5 keycards, with Pass promising 1/4 and the next two cheapest suits to show 2 keycards, the higher also promising the trump queen. 6 was a great save, and although declarer lost two trump tricks, one via a ruff, the other by failing to drop the then singleton king, it was still a great way to finish for the new World Mixed Team Champions.